Wayanad (Waynad, Wynad ) is an absolutely stunning place that makes the beauty of most parts of of Kerala look pale in comparison. If you are looking for the crowning glory to the splendor of Kerala, well, it is time to stop search and head on to the hilly land that is Waynad. Travel to there itself is an experience. If you are from South, journey through the mountains begins just after the shops of Adivaram, past the small town of Thamarasseri. Adivaram, about 36 Kms from Kozhikode (Calicut) City is on the north east corridor of the district. While panoramic views fascinate you fearful depths stare to scare as the winding road take the hairpin bends of Thamarasseri pass. If you are coming from the north, interstate road is interesting in its own way. It takes you for a long ride through the jungle where wildlife shares the road with vehicles. Remember, wildlife includes elephant herds too! 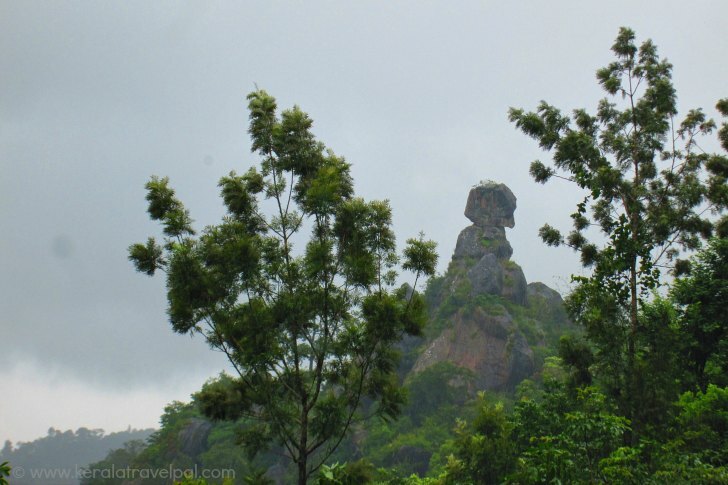 Wayanad (also Wynad)is the name of the entire district which spreads out in an area of 2132 sq. kms. There is no particular town or spot with that name. That is quite unusual in Kerala where most district names are also the names of major towns within them. As a part of North Kerala, it shares boundaries with Calicut, Kannur and Malappuram Districts. The forests of Coorg and Nilgiris connet it to neighbouring states. Kalpetta the district headquarters is the largest town. The other major towns are Sulthan Batheri and Mananthavadi. 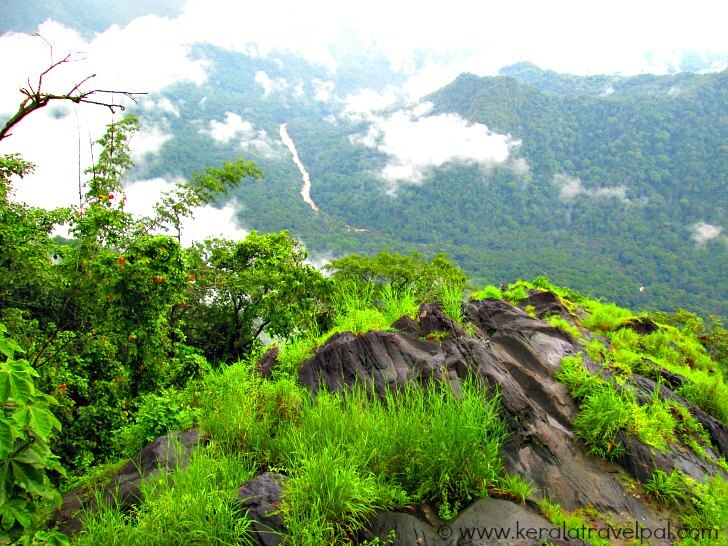 The name Wayanad is derived from local words meaning the land of paddy fields. 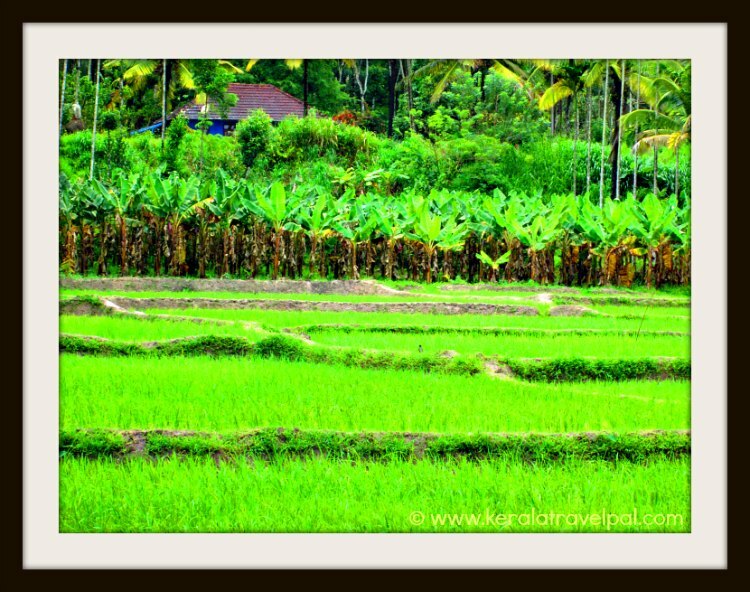 Although rice paddy inlets flanked by arecanut palms and plantations can be seen here and there, there is much more to Wynad than that. It is a magical land of waterfalls, lakes, streams, peaks, meadows, rain forests, spice gardens, bird havens, dams, ancient caves, tribal settlements, temples and wildlife sanctuaries. Isolation of this mountainous region has worked well to keep it as pristine as today secure from the greasy grips of industrialisation. Undulating and majestic, the whole land mass stretches 700 to 2100 meters high from sea level. Rain lets its force loose to unleash 3,000 to 4,000 mms of annual rainfall. The rich red soil of the region absorbs it to nourish countless forms of graceful greens. The result is beauty that is indiscriminate. Its blessing hands touched everything – forests, plantations, hills, dales, streams and waterfalls. The whole of the district usually gets mentioned as Wyanad hill station. While that is true, it could be a broad statement as well since Wynad is such a large area than a single hill station spot. Even if we consider the whole of district as a hill station, still there are pockets of altitude and beauty ideal for pleasing retreats. Lakkidi and Vythiri are such areas. Waterfalls can be seen all over the place. Many appear as small silvery strands over distant hill slopes. The region near to Meppadi is known for its waterfalls. Meenmutty Falls, the most prominent of them is also one of the most substantial waterfalls in Kerala. Soochippara Waterfalls falling alongside a needle shaped rock is a popular picnic spot. Kanthepara waterfall may be a bit subdued yet its location among plantations make up for it. Chethalayam waterfall is more towards the north. It requires a trek through the forest where wildlife can be spotted. Trekkers find here a land of opportunities. For them, there is a lot to do here. Conquering large hills such as Chembra peak often tops the list. Waterfall treks are exciting. There is the usual trek to the waterfall. Then there is the unusual trek from there to higher levels of the falls or even to the origin of the stream. One of the waterfall treks laced with beauty, danger and excitement is Meenmutti trek. If you think that is fueled by adrenalin, think again. There is an extended version – Meenmutti to Nilambur trek, ventured by very few! Adventure tourism goes hand in hand with upstanding rocks and uneven terrains of forest filled landscape. As a result, the area is getting more popular among adventure tourists. E3 Theme park is the latest initiative to cater to the increasing demand.